Processes in the converting industry such as gravure printing, laminating and drying require hot air in the range of 50-80°C. Hot air is usually generated through heat exchangers using hot thermal oil heated in thermal oil heater fired with fossil fuel. This heat supplied can be substituted/augmented by heat from solar concentrators. Solar energy can be used to generate hot air in a steam-to-air heat exchanger and typically will operate from 8 a.m. to 4 p.m. on sunny days. Based on the volume of required air and available space for solar installation, typically 30–80% of the fossil fuel may be substituted using heat from solar concentrators. The solar steam cooking system is a community cooking application. 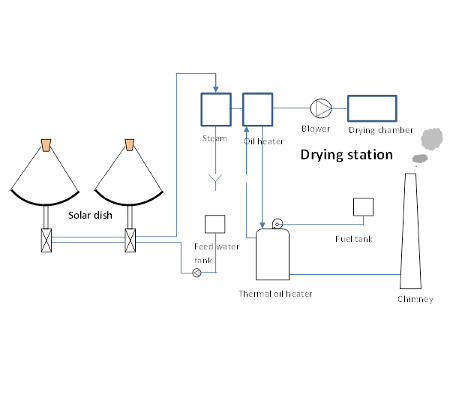 In this system the basic cooking arrangement remains unaltered where the steam source from fossil fuel is substituted by the steam generation from solar concentrators. Solar-based cooking can be carried out from 8 am to 4 pm on sunny days. 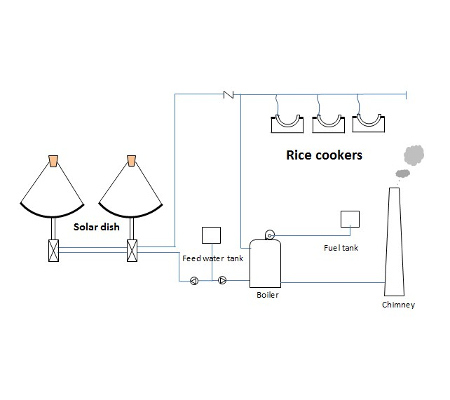 Based on cooking practices typically 50–80 % fuel substitution is possible with solar steam. Bottle washing in the beverage industry requires hot water in the range of 80–90°C. 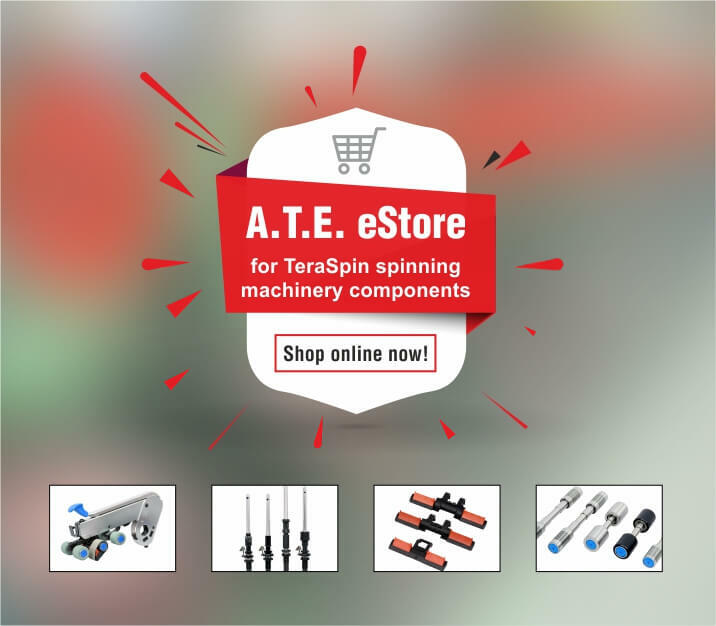 A.T.E.’s solar augmented system, the basic hot water generation where generally the heat source is electricity/fossil fuel remains unaltered. The heat supplied by electricity/fossil fuel is substituted/augmented by heat in the form of steam from the solar concentrators. Solar-based hot water generation is viable between 8 a.m. and 4 p.m. on sunny days. 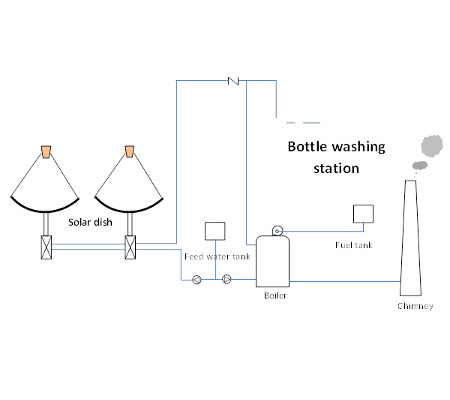 Based on number and size of bottles washed, typically 10–80% fuel substitution is possible with solar steam. Air conditioners require chilled water in the range of 7–12°C. Chilled water can be generated from solar based steam using Vapor Absorption Machine (VAM). 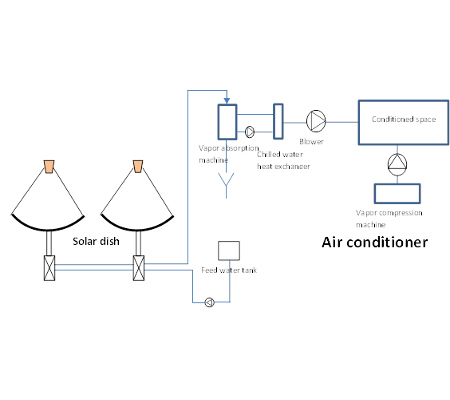 In A.T.E.’s proposed system, the conditioned space is primarily cooled by using a Vapor Compression Machine operating on electricity, while the cooling is augmented by cooling generated by the VAM-based on steam from solar concentrator. The solar based cooling can be carried out from 8 am to 4 pm on sunny days. Based on the size of conditioned space and space available for solar installation, an appropriate VAM capacity can be selected and typically, substitution of 30–70 % electrical units is possible from solar steam-based cooling system.